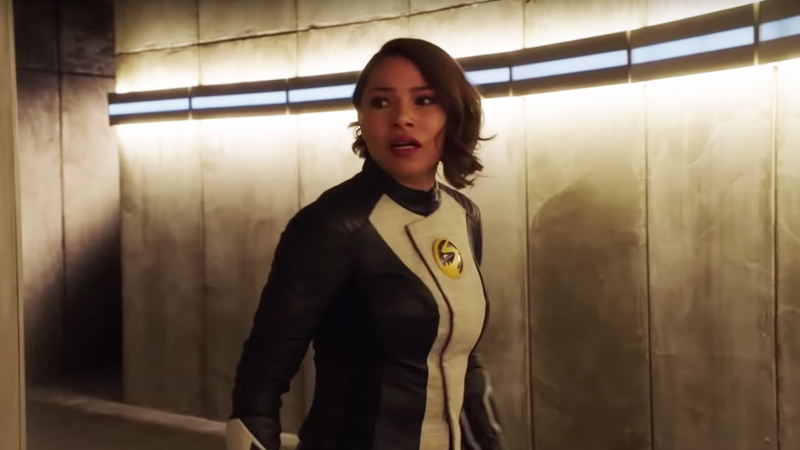 The CW has released the promo for the next episode of The Flash, which finds Nora (aka XS) running into some serious trouble while time-traveling. As a result, she finds herself caught in an endless loop. Think of it as Groundhog Day, but with superpowers. You can check out the trailer in the player below! Rachel Talalay directed the episode which was written by Todd Helbing & Jeff Hersh. The Flash stars Grant Gustin as Barry Allen/The Flash, Candice Patton as Iris West, Danielle Panabaker as Caitlin Snow, Carlos Valdes as Cisco Ramo, Hartley Sawyer as Ralph Dibny, Jessica Parker Kennedy as Nora West-Allen aka the speedster hero XS, Danielle Nicolet as Cecile Horton with Tom Cavanagh as Dr. Harrison Wells, and Jesse L. Martin as Detective Joe West. Chris Klein (Election, Oz, American Pie) has joined the cast to play the new scourge of Central City, Cicada. A grizzled, blue-collar everyman whose family has been torn apart by metahumans, Cicada now seeks to exterminate the epidemic — one metahuman at a time. Based on the characters from DC Comics, The Flash is from by Bonanza Productions Inc. in association with Berlanti Productions and Warner Bros. Television, with executive producers Greg Berlanti, Sarah Schechter, and Todd Helbing. The post The Flash Episode 5.14 Promo: Nora’s Caught in a Time Loop appeared first on ComingSoon.net.